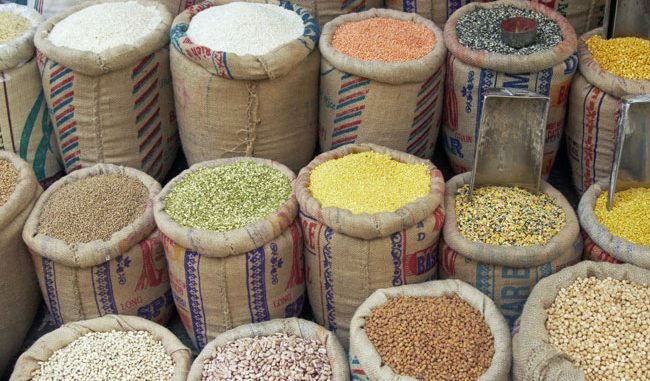 The estimated decline in pulses production by about 7 lakh tonnes during Kharif season could get compensated in the coming Rabi (winter sown) season, Union Agriculture Minister Radha Mohan Singh said. India’s pulses production is estimated to fall to 8.71 million tonnes during Kharif 2017 compared to last year’s record output of 9.42 million tonnes, according to the first advance estimate released by the ministry last month. “Last year there was a record production of pulses. In Kharif season this year, there is some decline. But we expect it to compensate in the Rabi season,” Mr Singh told reporters. The minister reviewed pioneer project ‘CHAMAN’, which was launched three years ago to boost horticulture sector through use of remote sensing techniques. In the current phase, 185 districts are being covered. “This project will be completed by March next year,” he said adding that data would be provided to all states by March next year based on which strategy could be framed for the growth of this sector. Mr Singh said the horticulture sector is one of the major drivers of growth in agriculture sector. India is the second largest producer of vegetables and fruits in the world and is first in the production of banana, mango, lime and lemon, papaya and okra. Mr Singh said the CHAMAN is a pioneer project in which remote sensing technique is being used for strategic development of horticulture sector as also to increase the farmers’ income. The minister said the income of farmers will increase by growing selected crops in the high suitable areas identified under CHAMAN in the current waste lands. “It gives methodology for preparing reliable estimates of horticulture crops,” Mr Singh said, adding that this methodology will help the farmers to generate better income. The post harvest damage of farmers would be significantly reduced by creation of cold storages. “In addition, the geo-spatial studies like crop intensification, orchard rejuvenation and aqua-horticulture would further help the farmers to grow their horticultural crops in a profitable manner which will help doubling their income,” an official statement said.